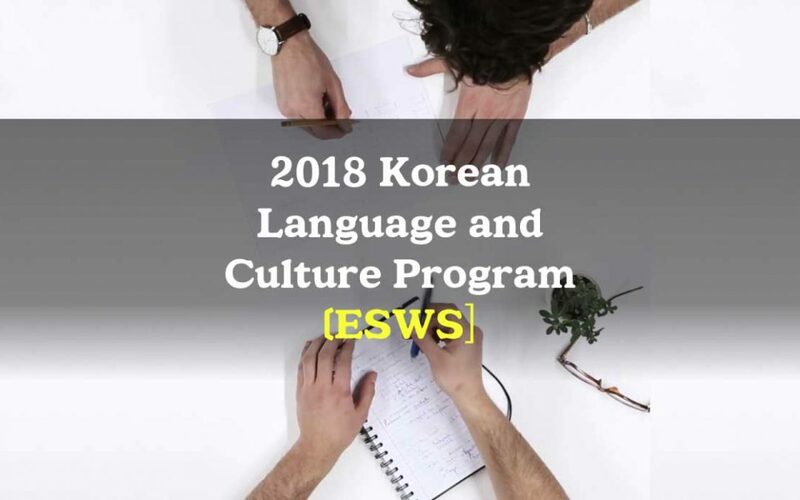 Eastern Social Welfare Society is proud to announce the 2018 Korean Language and Culture Program. ESWS has been running the Scholarship Program for years to assist our adoptees to learn Korean language and have exposure to Korean culture. By doing so, we aim to help the adoptees learn and understand their heritages better and understand cultural differences between Korea and other countries. Eventually, we hope to instill pride for their motherland. This year, we have included volunteering activities within the language program for to give the participants experience to help people in need. We hope this program will provide our adoptees with better understanding on their motherland Korea and its culture. Again, this year’s program will be held in cooperation with Hallym University’s International School in Chuncheon, Korea. Participants will be exposed to the college atmosphere and life in Korea as well as have the opportunity to start and/or improve their Korean language skill and interact with other student groups on the campus.